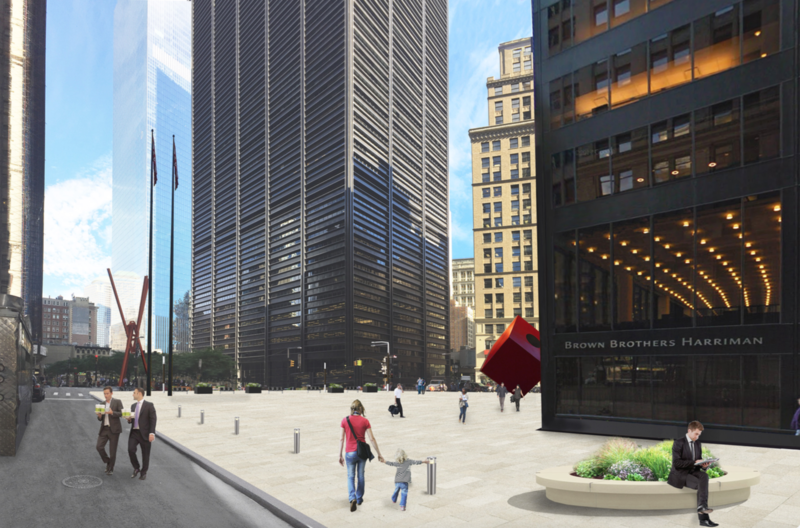 After hearing—loudly—from critics and community members, the team behind 140 Broadway's plaza revamp has revised its design for the outdoor spaces surrounding the former Marine Midland Building, SOM's landmarked 1968 corporate modernist masterpiece. Landscape architects at New York's NV5, in collaboration with preservation consultants at Higgins Quasebarth & Partners, have submitted a revised design for the modernist plaza at 140 Broadway to the Landmarks Preservation Commission (LPC) for a hearing next week. 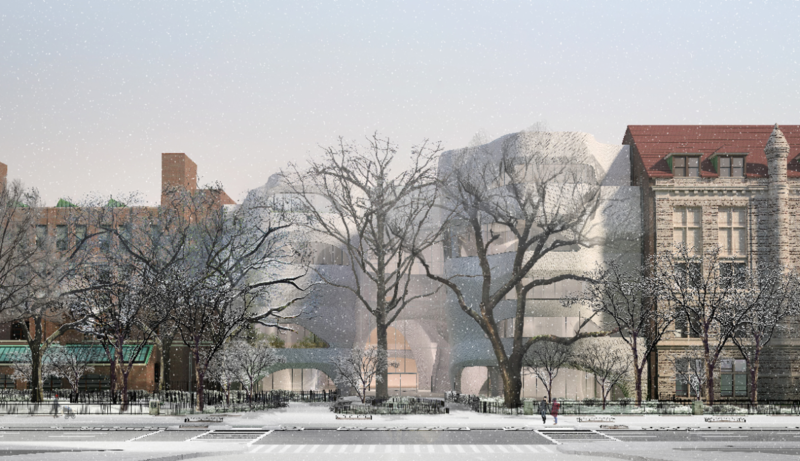 Most notably, the new design eliminates a 14-foot-wide planter at Broadway and Cedar Street that would have sat kitty-corner from the plaza's signature sculpture, Isamu Noguchi's Red Cube. Aside from the absence of the large corner planter, the plaza design is relatively unchanged from the one revealed in January. Like the previous scheme, the new plans call for six, 14-foot-wide circular planters that double as benches along Cedar Street. Meanwhile, the Helmsley Memorial, a blocky black-granite tribute to the late owner, will be re-dedicated as a marker flush with the pavement, and the design team will add metal bollards along Cedar. To further harmonize the space, the design team is replacing pinkish granite pavers installed in 1999 with a light golden-hued granite that resembles the original travertine plaza. When the plaza plans were revealed in January, critics panned the design, saying it would distract from the Noguchi sculpture, which was installed to complement the plaza and its 57-story tower. 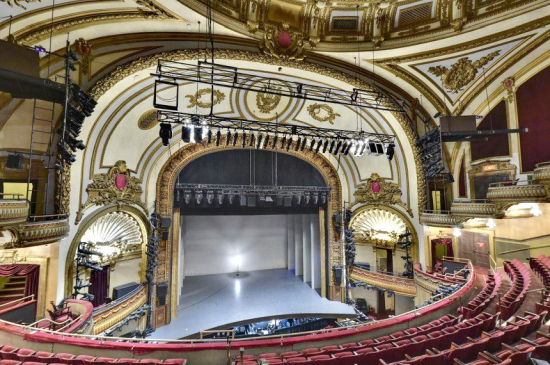 Originally, the LPC was scheduled to hear the plaza plans in early February, but public debate over the appropriateness of the renovation prompted the designers and owner to withdraw the item from the LPC's calendar. The Architect's Newspaper (AN) obtained an advance copy of the plans that were submitted to the LPC. All the renderings and drawings pictured here are from that document. Jackson Wandres, director of landscape architecture at NV5, and Erin Rulli, partner at Higgins Quasebarth, said that their overall goal is to add more seating and re-establish the east-west viewshed that extends from Zuccotti Park across the 140 Broadway plaza and over to SOM's 28 Liberty (formerly One Chase Manhattan Plaza), a modernist skyscraper of the same vintage. The 140 Broadway plaza "is the knuckle in a series of open spaces," Wandres said. "It makes the space feel much larger." A web of fine-toothed zoning designations divides these three seemingly unified areas and complicates the design intervention, however. The park and the two office tower plazas are POPS, spaces that are privately owned and maintained but free for the public to use. At 140 Broadway, the plaza continues out from the building to the edge of the roadway uninterrupted, even though the property line actually ends about 20 feet before the street; the food carts with LED marquees that sling chicken-over-rice and green juice to hungry passerbys sit on the public right-of-way. By obstructing the historical plaza-to-plaza vista, "the carts have caused a dramatic shift in how you experience the space," Rulli said. "It's not the intention to deprive anyone of their livelihoods, but rather, it's a design move for the benefit of the plaza," Wandres added. The pair clarified that any changes to the public area is under the Department of Transportation's (DOT) jurisdiction, not owner Union Investment's. Consequently, the proposed food cart–replacing benches and planters in the right-of-way are being reviewed by the DOT, not the LPC. 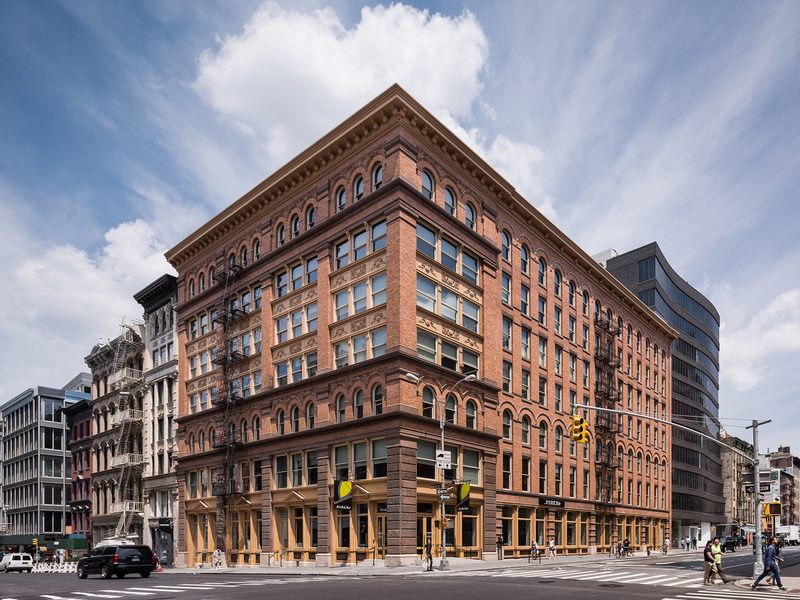 In December, AN wrote that prolific developer Aby Rosen had picked up 190 Bowery—a six-story, graffiti-covered Renaissance Revival building that had been the private home and studio of photographer Jay Maisel since 1956. Maisel purchased the building for $102,000 and repeatedly turned down offers to sell it despite its skyrocketing value. 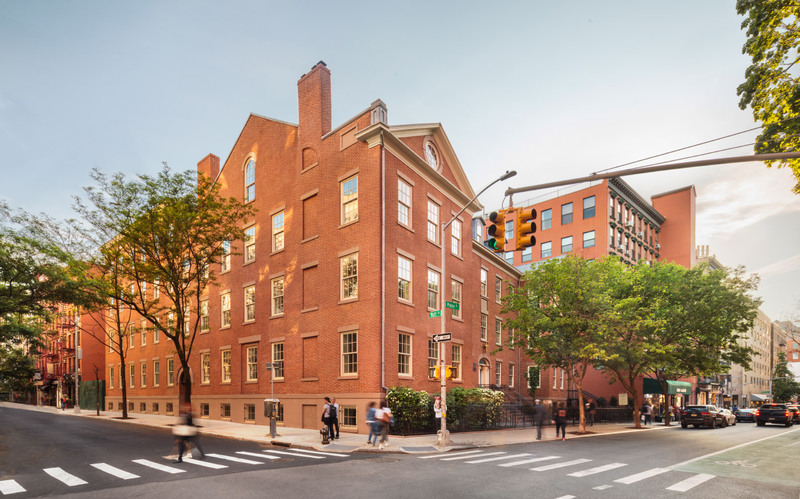 Rosen's RFR Realty ultimately purchased the landmarked property for $55 million. So, you can understand that when 190 Bowery sold we predicted that its graffiti would be "power-sprayed into oblivion." Well, turns out we were wrong about that: The graffiti-covered building will continued to be a graffiti-covered building even as it transitions into an commercial property with ground floor retail. 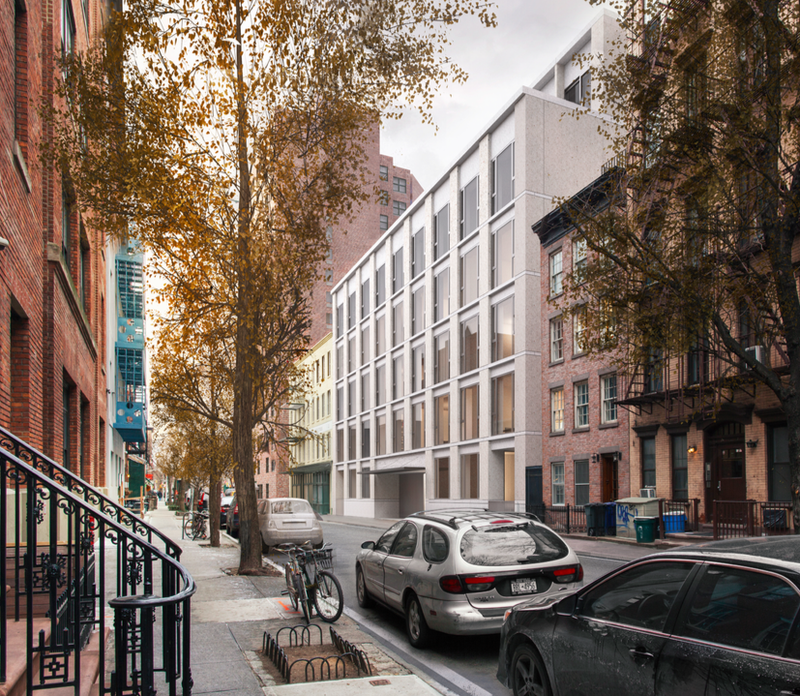 NY YIMBY reported that Higgins Quasebarth & Partners and MdeAS Architects recently presented their conversion plan to the Landmarks Preservation Commission which includes the "restoration of metal gates, wooden doors, stained glass, and other elements, but not removing the graffiti or cleaning the facade." The project's light touch pleased just about everyone. 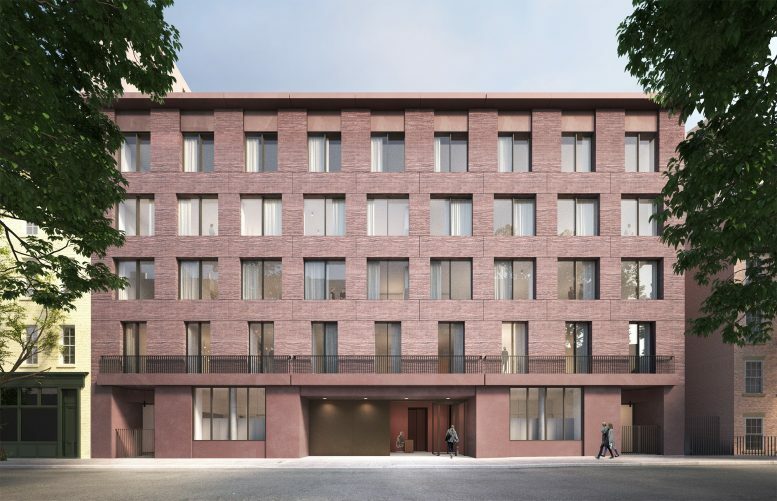 Landmarks commissioners loved it, the Bowery Alliance of Neighbors was pretty happy with it, the Historic Districts Council was smitten, and Community Board 2 approved it, as did the Landmarks Preservation Commission.